Why is human bone both hard and tough? How do shells grow and how do bacteria make crystals with magnetic properties? The CMEM studies the processes that give natural substances like these their particular structure, form and chemical properties. The knowledge gained is applied in the development of synthetic, typically soft materials suitable for various different applications: from bone prosthetics to cancer treatment, solar cells and computer chips. Materials can be studied precisely, to within a millionth of a millimeter, using electron microscopy. Yet natural materials are formed in a liquid aqueous environment one, and conventional electron microscopy cannot be used to study liquids.This problem is overcome with the smart capabilities of CryoTEM analysis: the samples are cooled within a millisecond to 183 degrees below zero, after which they can be studied in their frozen state. With the help of this equipment, the Laboratory of Materials & Interface Chemistry research group was able to throw new light on, among other things, the puzzling formation process of bone, which led to an article in the prestigious journal Nature Materials. The group caused a further sensation by using a high-resolution, low-dose imaging method: the results remain accurate down to the nanometer while a very low dose of electrons keeps the sample in its pristine state. Moreover, by using cryo-electron tomography the group is able to visualize nanostructures in 3D. This involves the combination of numerous two-dimensional images to form a three-dimensional reconstruction. As a rule, CryoTEM analysis is used to study biological materials. CMEM is uniquely able to use the analysis to study soft synthetic materials in great detail. This is due to the CryoTITAN, a unique electron microscope adapted to suit the CMEM's particular research requirements. The CryoTITAN has been optimized to produce images with both high resolution and high contrast. This results in exceptionally accurate measurement results. The CMEM provides the best research facilities in the world for TEM studies of the morphology, structure and chemistry of soft materials. 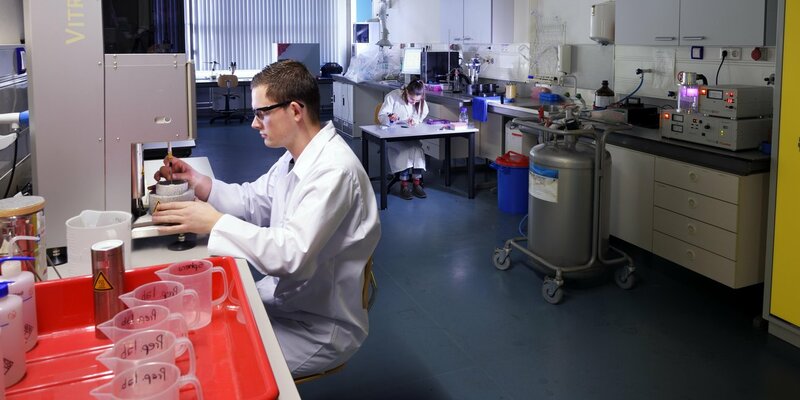 These facilities are used by academic partners based at a wide range of universities, in the Netherlands and abroad, as well as by industrial parties such as AkzoNobel, DSM, the Holst Center, Ionica, Latexfalt, Philips, Plextronics, SABIC and TNO. Similarly, the facilities are available to external parties. Interested parties should contact Nico Sommerdijk.